Leverage the Fear of Missing Out (FOMO): Make customers feel more compelled to buy if they have an impression that they are about to miss out on your most popular products. Build Brand Trust & Authenticity: Create a sense of a busy store, leverage social proofs to create a positive influence on new customers. 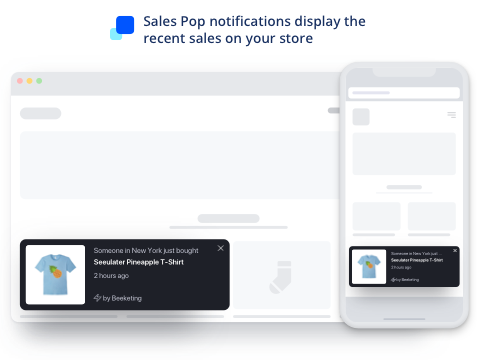 1- Automatically generate real live sales notifications: Auto sync with your store’s sales data to generate recent order notifications and display them on your storefront. 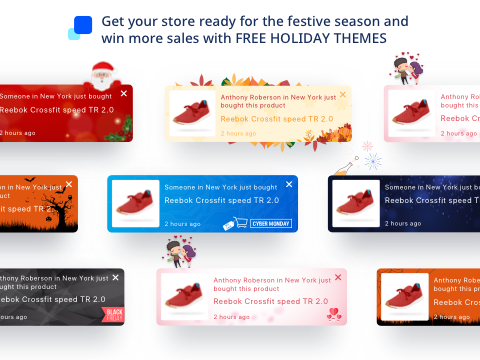 2- Manually generate custom live sales feeds: Besides the real notifications, you can manually select products, customer names & locations to create ‘fake’ sales notifications to promote any items as hot sellers. Display notifications of successful orders within 24 hours on cart and checkout pages. 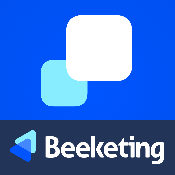 Checkout notifications strengthen customers' confidence to finish order and prevent cart abandonment. Display product recommendations when customers view a specific item. 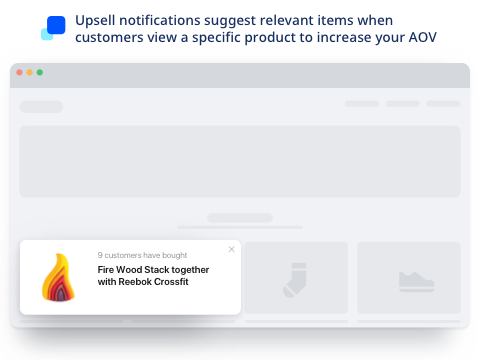 When customers click on the upsell notification pop-ups, the app shows a quick-view of the suggested items so customers can view details and add to cart in just 1 click. Upsell notifications help merchants increase average order value and total revenue. 5- 100% customizable popup templates: You can customize the popup template with pre-built layouts and themes to make them match with your store's design. 6- Schedule expiration time, display time, interval time: You can freely set up the expiration time, display time and interval time to show the popups on your storefront.